The National Weather Service Pacific Region Headquarters and the University of Hawai‘i are pleased to announce the reestablishment of the Pacific International Training Desk (or “Pacific Desk”). The focus of the Pacific International Training Desk is to further develop the technical capacity of hydro-meteorologists in the Asia Pacific region. The program will focus on participant learning outcomes such as improved ability to predict the onset of severe weather events, forecast daily local weather, and prepare and disseminate locally-produced meteorological, hydrologic, and climate products. (1) eLearning Prerequisite Course: Intended for forecasters who want to attend the in-person training in Honolulu. The course materials will be distributed via an online course management system or on USB flash drives for local offline viewing. Quizzes and assessments will be conducted via an online eCourse Management System. The prerequisite course must be completed as part of the application process. Candidates with sufficient documented education and experience in tropical meteorology topics may be invited to an abbreviated Pre-requisite Course. 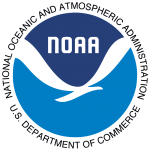 (2) On-Site Training: A four-week-long in-person training will be held in Honolulu, Hawai‘i, at the National Weather Service Forecast Office on the University of Hawai‘i – M­ānoa campus. As before, the program will provide students’ travel, lodging, per diem, and a laptop computer. In addition to meteorology training, the on-site program includes a unit on weather-related communication systems and content management programs to raise awareness and develop capacity for utilization of tools that are readily available in the region. (3) Advanced Workshops: Regional, in-country workshops will be held periodically on a variety of specialized forecast topics including aviation meteorology, tropical cyclones, tsunami and marine forecasting, and severe-weather messaging strategies. The University of Hawai‘i Telecommunications and Social Informatics (UH TASI) Research Program will serve as the program coordinator. There will be a transparent application process. Permanent Representatives (PRs) may nominate students to submit applications for the on-site training program. UH TASI will continue to provide updated and more detailed information.